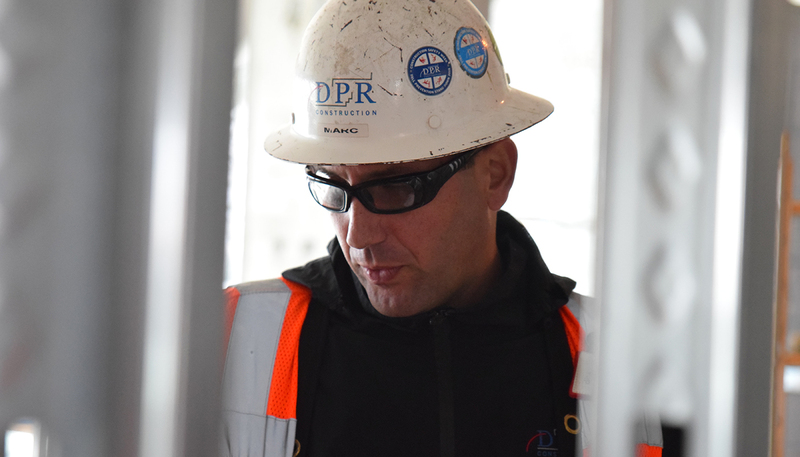 Marc Agulla first connected with DPR in 2015 working in the trades with a subcontractor at a Central Florida DPR project. The work of DPR self-perform drywall crews caught his interest and, through conversations with DPR staff, he created an opportunity for himself to join DPR as an apprentice, specifically learning about hanging and framing. 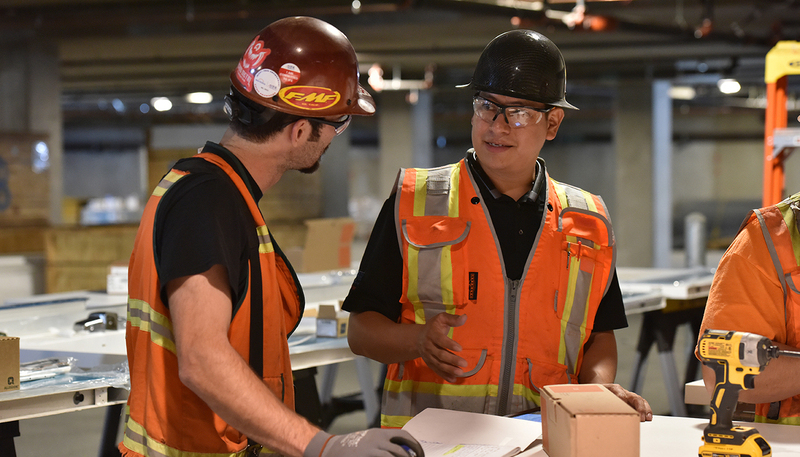 Today, he’s not only leading drywall crews for a large portion of work on The KPMG Learning, Development and Innovation Center in Orlando, he’s set a longer-term goal of becoming a superintendent. 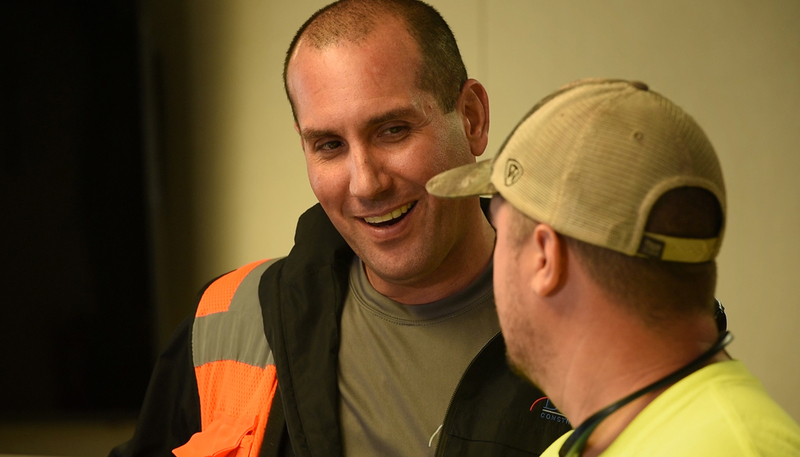 Agulla recently discussed his career path, how DPR recognizes hard work with opportunities and how the trades have helped him grow. Q: What is your role at DPR? Describe the path you took to get there. Agulla: Right now, I lead a drywall crew on the “hotel” portion of the KPMG project, the place where employees will stay during training. It’s pretty amazing how I got here. I was working on a DPR job in a different trade, but I always wanted to frame and hang. I got to know DPR’s team and, after quite a bit of insistence on my part, DPR gave me an opportunity to come in as an apprentice. At that point, the team grabbed a hold of me and took it upon themselves to mentor me. I was placed at a large job site and mentored by the superintendents and foremen there. They had a class where I learned to read drawings, to know the Underwriters Laboratories types, the codes and similar topics. The framing and hanging I learned hands on. So many people took me under their wings. Now, I’m in a bit of a leadership position where I can guide and instruct the craft and utilize all I’ve been taught from DPR. Q: What’s your favorite thing about construction work? Agulla: I enjoy the end result more than anything else. I really like that when you first come in, there’s nothing, but you can picture the end product in your mind. You watch the process and then, to see it come to fruition, is gratifying. Agulla: The stage of the game we’re at on the KPMG project has prefab bathroom units. We’re getting ready to set the pods in place and all the trades have to work together because everything has to be perfect to be able to just put these in place. We all know how this will affect the customer and its end users. Agulla: You need to be able to multitask. Also, communication skills are key, especially listening. Listening and being open to advice from everyone and anyone is something I’ve really learned at DPR. I didn’t always have a construction background. I’ve managed people before, but it’s a different kind of management in construction. We’re a team. My mentors are great, but the craft guys who are installing, the laborers… you can learn anything from anyone on the job site if you listen. I don’t pretend to know everything. Don’t sell yourself short. If you’re a laborer and you choose to apply yourself, DPR will give you these opportunities to go as far as you are willing to go. If you put the work in, DPR will help you get there. They want to help. It’s just a matter of applying yourself. Stay focused, study and work hard and you can have it all. Ultimately, my goal is foreman, then superintendent. That’s my hope and dream and, with time and hard work, I know those are realistic goals. Q: How is working with DPR’s self perform workers different than other work you’ve done? You know, I got married since I’ve been with the company. Today, we’re getting ready to have a baby and what’s different at DPR is that it’s like a family. Everyone is so loving and supportive, from the office to out here in the field. I’ve worked at other places and done other things and never had people that truly cared about your spouse or your child the way they do here. Stuff like that to me is important. DPR puts value on that. You see it in the way people genuinely care and in things like the lengths we go to for safety every day. I love that about DPR. Roofs are actually the integral part of any structure since it protects us from sun, rain and other hazards. Over time, roof will lose out some shingles. That’s where you need to call or hire a muskogee roofing contractors service provider to fix your roof before it gets much worse. But, choosing the perfect roofer for your home can be a confusing and daunting task. You need to be careful since it decides the future of your property. To make your task easier, here is the list of some factors to be considered at the time of hiring a Oklahoma City roof repair service provider. Work experience of the service providers need to be ensured before hiring a roofing service. Also, it’s equally important to ensure whether the roofers are enough skilled to satisfy all your needs. Now, let’s have a look at other prominent factors to be considered. It’s better to hire a local roofing service provider since they know the geographical location clearly and will provide you with quality services at the time of installation. For avoiding leaking and other possible problems, it’s mandatory for the service provider to know about the weather conditions of the desired location. However, just ensure whether you are hiring a licensed and insured service provider. Cheap things usually accompany with loads of hidden costs. Before hiring your contractor, just have a rough idea about your initial cost, roofing material quality and long term maintenance. For determining the value of the spending money with long lifetime, you can go for life cycle cost approach. It’s always wise to work with the contractor who updates you with periodic maintenance and inspection. Probably, this will improve the lifespan of your roof and reduce your cost of repair or replacement to a great extent. Since roofing service providers have emerged because of improved commercial industries, there occurs an issue in the quality of the product. For overcoming the above issue, it’s desirable to hire a contractor with proper certification. By choosing licensed installers, you can easily end up with high quality service. Reviewing the supplier and manufacturer relationship will reveal the overall quality of the company. Before hiring, just investigate your contractor about their suppliers and the type of material they are using. Proceed only if you are satisfied and doing this will definitely help you in finding the efficient service provider. For having deeper understanding, you can go through the online reviews and ratings of the roofer and definitely you will end up with worthy judgements. These reviews will introduce past complaints about the company and how the contractor resolved those issues. Overall, for enjoying the good experience you need to hire a professional and good roofing service provider. Just spend your time in weighing your options since it will help you in taking successful decisions. By analysing the above factors you can definitely end up with good and high-quality roofing service provider. Two projects. Two category winners. One overall Facility of the Year (FOYA) Award. Planning excellence! Using Monte Carlo-based modeling allowed the team to simulate thousands of possible outcomes of potential problems and predict the likelihood and severity of schedule and cost impacts, the project team then proactively developed mitigation plans that prevented the issues from ever happening. Los Angeles Building 8 was named Overall Winner and Category Winner for Facility Integration. 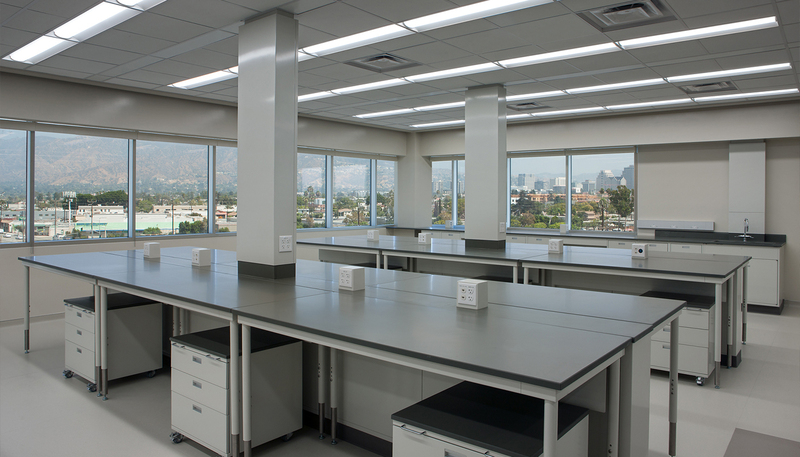 Shire Los Angeles Quality Control Laboratory project won for Operational Excellence. The FOYA was developed by ISPE to recognize the best pharmaceutical science and manufacturing industry projects in the world. This program showcases accomplishments in facility design, construction, and operation, and shares both new technologies and advanced applications of existing technology. The committee of judges is made up of senior industry leaders with global experience across all sectors of the pharmaceutical and biotechnology manufacturing industry. What started in 1986 with a small team of entrepreneurs seeking solutions to unmet medical needs has led to a global biotechnology leader in rare disease. With medicines available in more than 100 countries, Shire is helping patients and families around the world in several therapeutic areas, including Hematology, Immunology, Neuroscience, Lysosomal Storage Disorders, and Hereditary Angioedema. 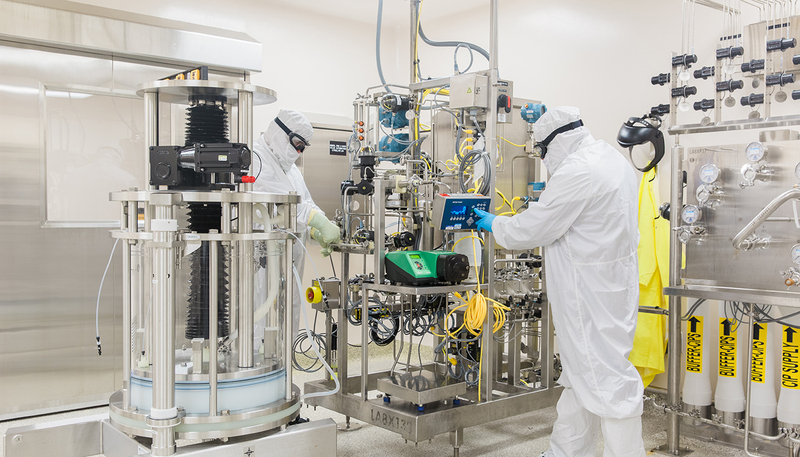 Many of the Shire products developed to treat rare diseases are derived from human plasma, and as such, Shire operates one of the largest plasma fractionation sites in the world at their Los Angeles campus. Building 8 purifies, processes, and supplies best-in-class commercial products to address these highly specialized conditions. This winning building project leveraged cutting-edge technology to diminish project challenges. Construction took place right in the center of a congested 11-acre campus, with the new 120,000-sq.-ft. purification facility replacing an aging 1930s-era building. The team converted challenges into opportunities for creativity and innovation via the use of Lean Construction concepts and technological advances. Building 8 became the first of its kind to be a virtually paperless project. Building 8 has space constraints in every direction, with the new building being constructed within 6” of an existing structure. The project team used building information modeling (BIM) and resolved over 10,000 clashes per week during the design phase. Trimble Total Station was also used to save countless man hours and increase accuracy over traditional methods. The quest for an uncompromising sustainable design resulted in the building also being awarded the LEED Silver Certification by the US Green Building Council. Water conserving sanitary fixtures and irrigation systems reduced water usage by 50%. Energy efficiency strategies were implemented resulting in a total reduction of 20% from baseline energy calculations. A construction waste management plan diverted 75% of the total construction waste from landfill disposal. Per the ISPE, the “application of excellent and innovative design practices as well as superior planning led to the successful integration of this new facility into an existing operational campus, and the reason Shire was selected as the 2018 Facility of the Year Awards Overall Winner.” Learn more here. Internal quality control is key to achieving Shire’s mission. Enter the construction of a “next generation Quality Control Lab” to address the ever-increasing, global demand for their therapies and to meet the goal of better, faster, and more economical delivery to patients worldwide. 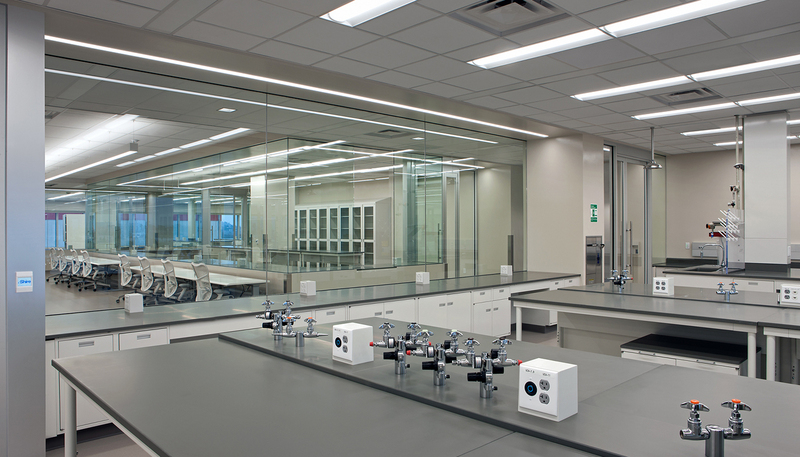 This 16,000-sq.-ft. laboratory is the category winner for Operational Excellence. The new lab was chosen as the winning facility for a variety of reasons, including the thoughtful application of lean principles not only to deployment, but also to the design of actual daily operations of the lab. The judging committee particularly praised the application of organic Kaizen principles aimed at improving efficiency and decreasing waste. 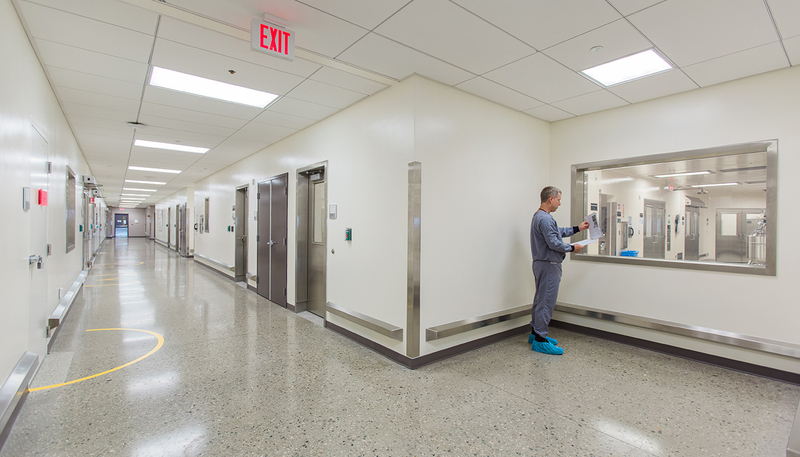 Using Kaizen as a guide and with the application of lean principles to every aspect of the facility design, the team was able to optimize the layout and operational aspects of the lab to reinforce teamwork, minimize expenditures, and allow for easy access to daily supervisory oversight—all key to decreasing latency times and modernizing quality control operations. The new lab now supports multiple manufacturing operations at significantly reduced capital and operational costs, thereby improving value to Shire, its patients, and the industry as a whole. 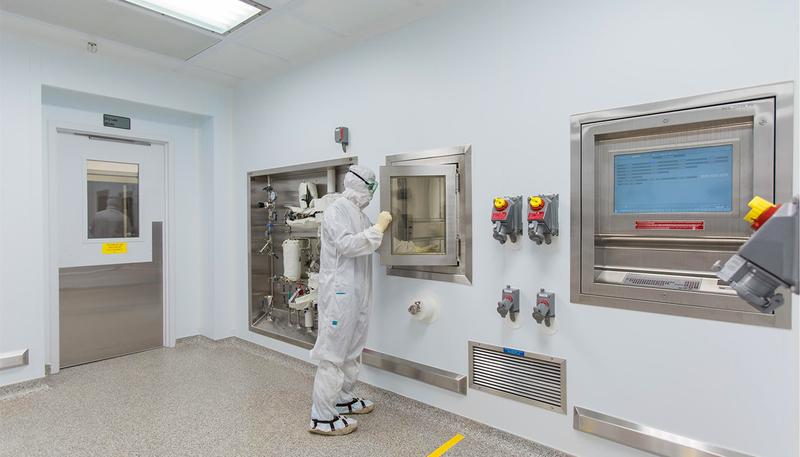 The goal of redesigning the lab while also delivering a space that allowed for the real-time sharing of ideas resulted in the creation of an advanced facility that also changed the lab’s culture for the better by trimming operational waste and increasing synergy and operational excellence. It is for these reasons that the judging committee selected the Shire Los Angeles Quality Control Laboratory as the category winner for Operational Excellence. Did you know? 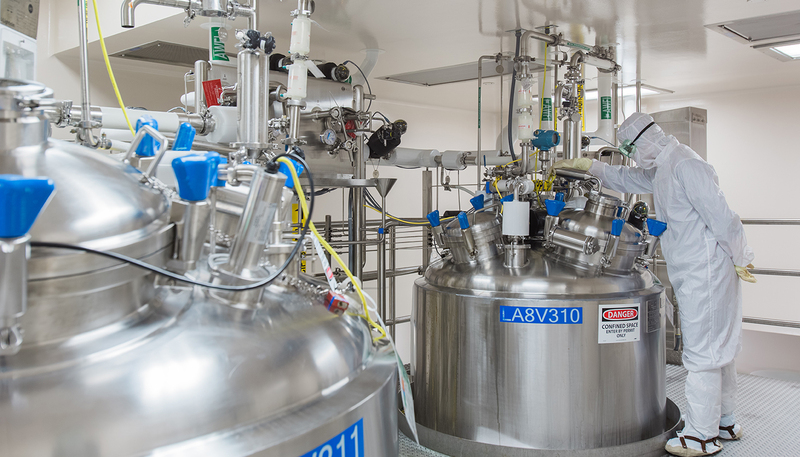 In addition to the Shire projects, DPR Construction was also the builder for the Genentech CCP-2 Project, which won the 2016 FOYA in the Process Innovation category. 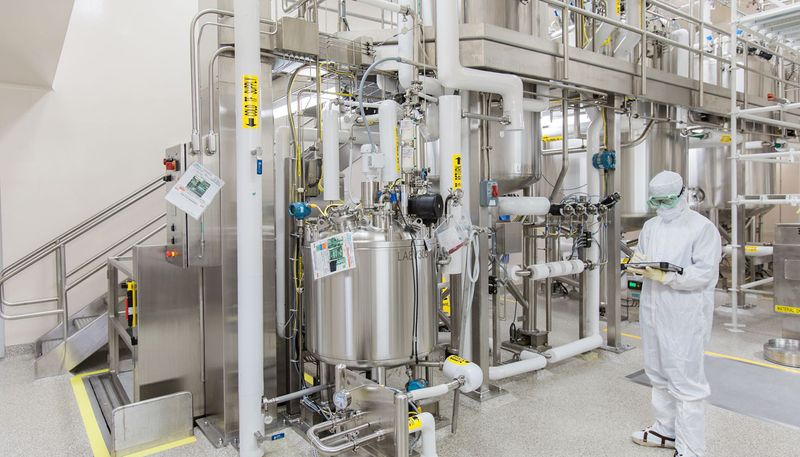 DPR also built the Genentech Oceanside Production Operations facility, which won the ISPE’s 2007 FOYA in the Project Execution category and the overall 2007 Facility of the Year award. 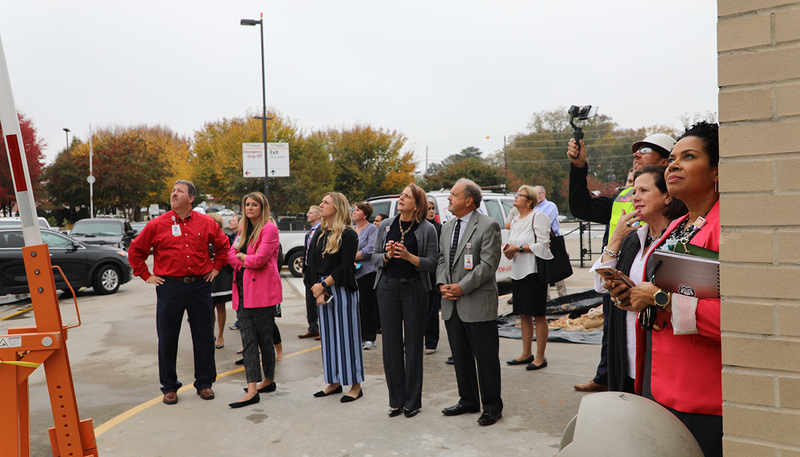 Employees of Piedmont Athens Regional Medical Center left their mark on a multi-year master expansion project currently underway at the Athens, Georgia healthcare facility earlier this month. 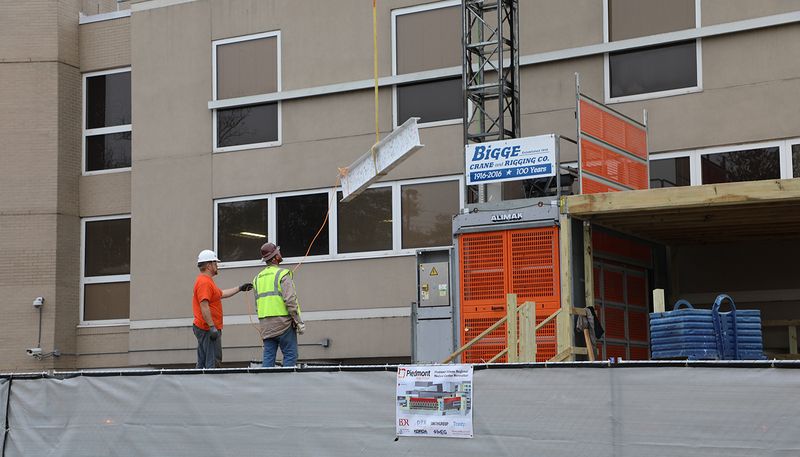 Piedmont Athens Regional staff members signed two steel beams days before they were hoisted into place signifying the first phase of the expansion—a fourth-floor addition of the Prince Tower Two—one of several towers on Piedmont Athens Regional’s campus. With a main objective of improving delivery of patient care and operational efficiency, the project will also improve both vehicular and pedestrian circulation around the campus and simplify patient arrival, wayfinding and access. This is the fifth project DPR has executed for Piedmont Healthcare in the Atlanta area and the organization’s first project for Piedmont Athens Regional. DPR is no stranger to the Athens community, however, as the team recently completed enhancements to the University of Georgia’s Sanford Stadium—the 10th largest football facility in the country. Integral to the success of Piedmont Athens Regional’s expansion include DPR’s project partners: program consultant, BDR, and architect of record, SmithGroupJJR and Trinity Health Group Architects. The conversation about sustainability is evolving. We’re on the cusp of some exciting things that could have long-term benefits for communities everywhere; construction has an opportunity to play a leading role in making these things a reality. DPR Construction sustainability leaders are gearing up for Greenbuild International Conference and Expo, Nov. 14-16, in Chicago. Here are a few of the things we’re excited to talk about this year, especially with partners who want to align construction delivery with their organizations’ wellness and sustainability goals. From the start, LEED® has recognized contributions to healthier indoor environmental quality. Guidelines for the WELL Building Standard™ take things a step further, aiming to create spaces that proactively help occupants be healthier. Combining these two rating systems is now delivering value that pencils out. Additionally, recently published books like Rex Miller’s Healthy Workplace Nudge are connecting the dots between workplaces and healthcare costs. Miller notes the rise in chronic diseases in the United States is increasing healthcare cost to a point where they will be unsustainable for businesses, with projections that companies will pay $25,000 for health insurance per employee each year as soon as 2025. At the same time, companies spend nearly $700 per employee annually on wellness programs that do not deliver results. Instead, we should imagine an environment where decisions are made based on employee health and well-being instead of upfront cap ex costs. 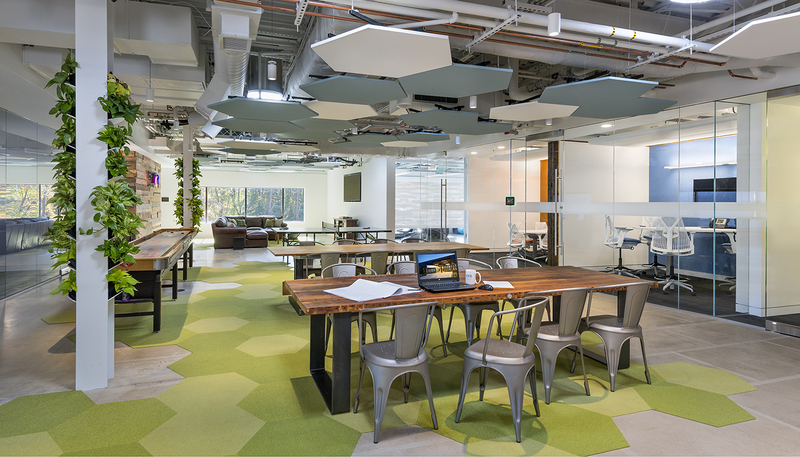 DPR’s new office in Reston, Virginia—a significant renovation of the common type of office park building found in every major U.S. market—shows how. The team found ways to marry LEED and WELL approaches and track for Net Zero Energy certification. The new space “nudges” occupants toward healthier behaviors through things like making it easier to find a healthy snack than junk food and an in-office workout room for employees to consider with their busy schedules. It accomplishes this without compromising building energy and water performance targets. The WELL Certified Gold and LEED Platinum space will pay for itself over the life of the lease through on-site energy generation, water savings and resulting lease negotiations due to the increased appraisal value of the building and long-term net savings to the landlord from the green retrofit. 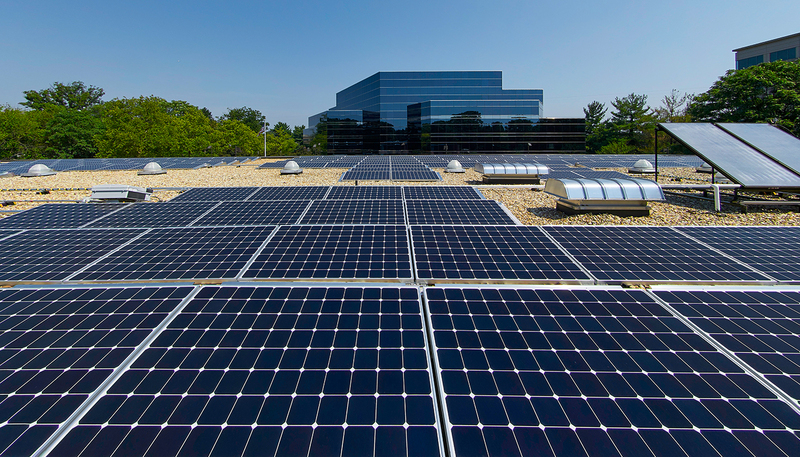 In Reston, DPR’s Net Zero certification will be enabled by rooftop photovoltaics, which have also reached a point where the costs of the equipment and installation are offset by the cost savings from on-site energy generation or reduced lease rates for usage. Potentially, communities can now start to look at rooftop spaces and build a more robust PV infrastructure to generate more power and, ultimately, inoculate building owners from energy cost fluctuation. Think about the rooftop of a convention center or sports arena: huge spaces we could put to work. If we make a similar commitment to rainwater collection to what we believe we can do with PV, we could help alleviate drought problems, too. More and more, we’re discussing social equity when we get together to discuss sustainability. It might seem like a construction firm wouldn’t have a lot to say on this subject. Instead, we believe construction is uniquely positioned to be a major contributor to a more equitable society. For starters, construction is among the few industries hiring people without a college degree and putting many of those folks on fulfilling career tracks. This is true not only in the trades but also for our office management staff. The majority of DPR’s superintendent and craft leadership do not have degrees and came up through the trades. With a labor shortage across our industry, construction can be an attractive career for anyone who doesn’t want – or simply cannot afford – the financial burdens of attending college. Making well-paying careers attainable for more people would be a significant step toward bridging the wage gap. 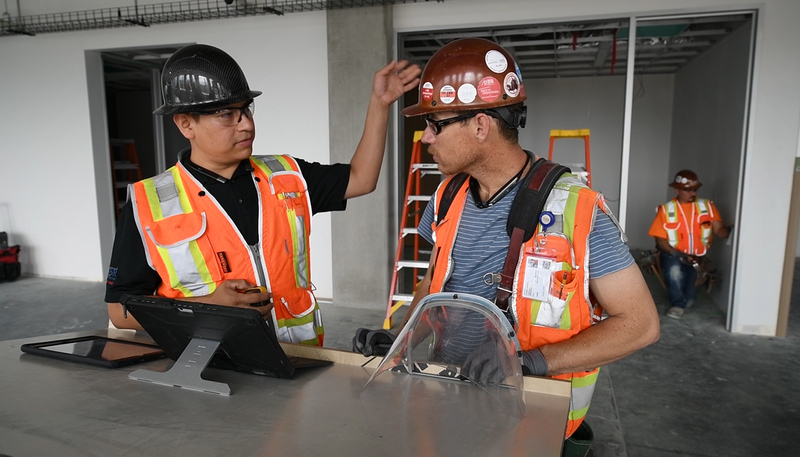 We’re seeing some tech companies create these opportunities for white collar workers; construction can set the tone in the blue collar workforce. Moreover, construction also hires a significant number of local small businesses, many of which are certified minority-, woman- or veteran-owned emerging small businesses. Much as we try to source regional materials for greener projects, the more we can use our projects to help these small, local businesses grow, the more we guarantee the health of local economies. As DPR strives to be integral and indispensable to the communities where we operate, our ability to include local partners in our projects is a significant focus. We’re past the time of simply talking about making greener buildings. 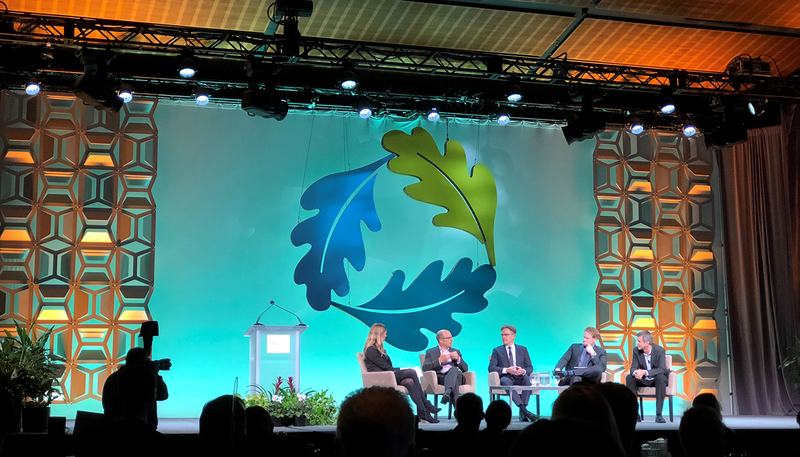 Now, when we go to Greenbuild, we focus on our ability to truly create sustainable communities. Aligned around Inova Loudoun Hospital’s motto of “Stronger Together,” the project team, hospital staff and patients, donors, and members of the local community, came together to celebrate the latest milestone on the Inova Loudoun Hospital (ILH) Patient Tower project—the topping out of the steel penthouse which sits on top of the new seven-story concrete structure. As one of the fastest growing counties in the country, the Loudoun County community has rallied behind the ILH Patient Tower project. Once complete, the new tower will bring additional services to the area, critical to maintaining the current level of care. “It’s not just the bricks and mortar, but the new services and new programs. [This facility] gives us the opportunity to really bring state-of-the-art technology to the community that people are accustomed to and used to,” said Deborah Addo, Inova Loudoun CEO. 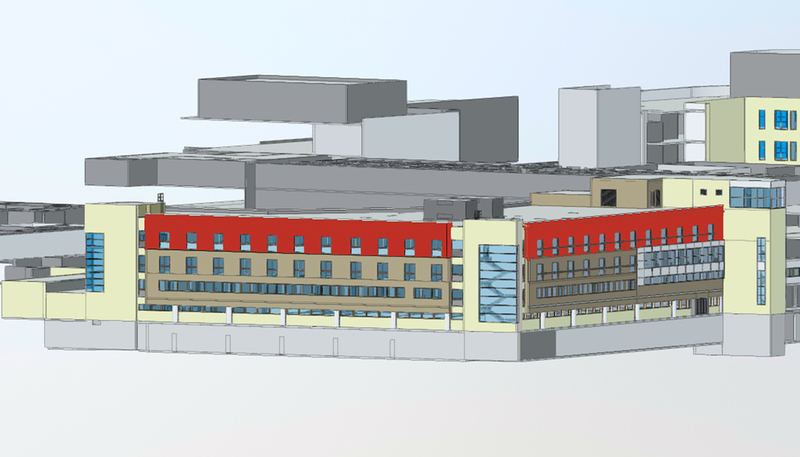 The original hospital was built to hold 82 patients while the new tower will accommodate 228 new patient beds, keeping up with current demands for patient space and allowing space for future growth, as well. “It is about progress and investing in the community we serve. This will help ensure that Loudoun County residents have access to quality health care well into the future,” Ben Frank, chief of staff and chief operating office for Inova Health System added. This project, scheduled for completion in 2020, is just one phase of ILH’s $300 million master plan for expansion of facilities and services. As the project reached this latest milestone, it was important to the project team to recognize all the individuals and organizations that have helped make this project a reality. 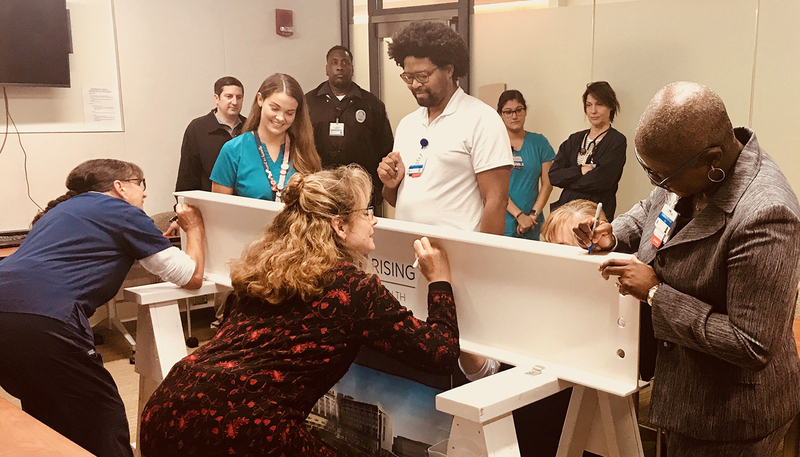 A series of events were planned, including beam signings and celebrations, honoring the entire team, from the subcontractors in the field to the critical network of facilities within the Inova Loudoun family that each support the main campus. 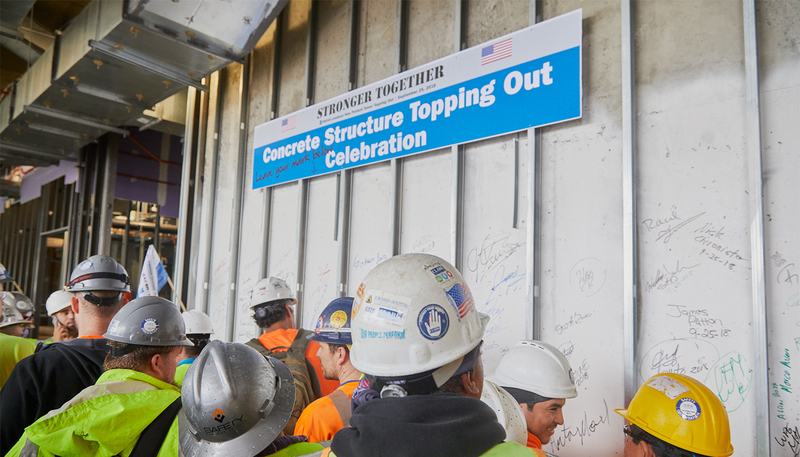 The first event was the “topping out” of the seven-story concrete structure, which celebrated the efforts of more than 250 workers who got the team to the top, one week ahead of schedule. 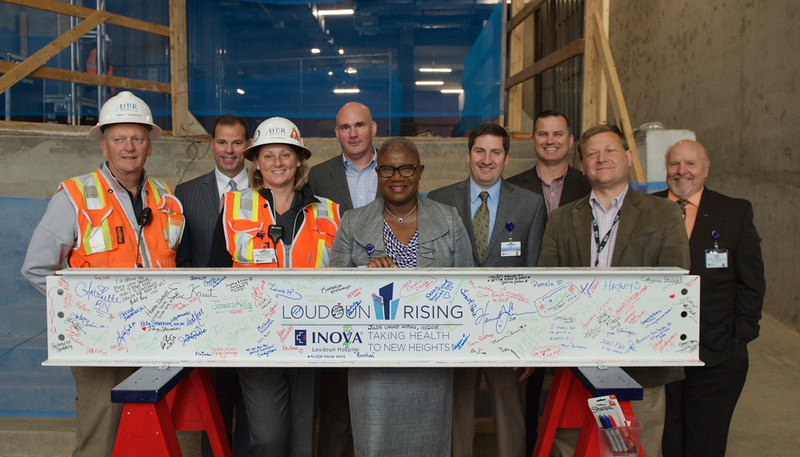 Prior to the official steel topping out, the final steel beams went on a roadshow to each of the Inova campuses that support the greater Loudoun community. Thanking members of the campuses for their support and uniting them under the “Stronger Together” belief, the roadshow, termed “breakfast with the beam,” allowed staff and donors to sign the beams and leave their mark. Some employees listed children born at the hospital, others thanked their parents and other family members, and others simply signed their name to be part of history. 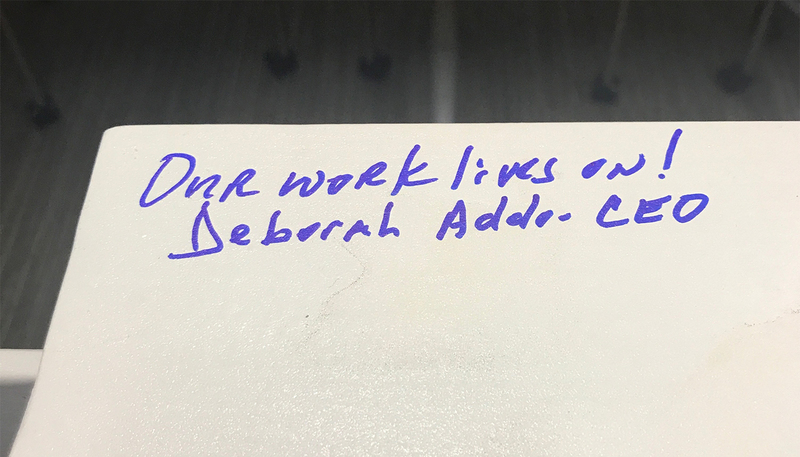 As Addo wrote on the beam, our work lives on! 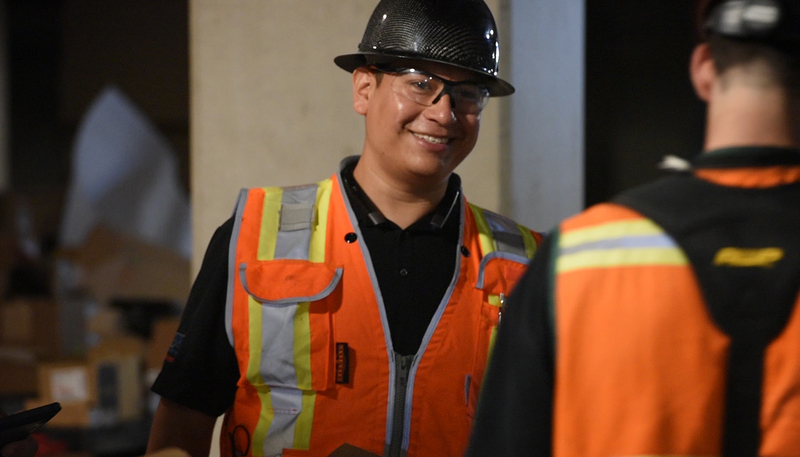 Alberto Sandoval-Renteria joined DPR Construction in the San Francisco Bay Area in 2014, but he knew he wanted to be a builder since he was six years old. His passion for carpentry started when he was first introduced to woodworking on his family’s ranch in Mexico, and he saw the joy his hard work brought to the people around him. He brings that same enthusiasm to his work as a carpenter foreman every day. Sandoval-Renteria is also one of five siblings, whom he credits for teaching him leadership and consensus-building skills. Sandoval-Renteria recently discussed how he got started in the trades, how work at DPR has influenced his life at home and his advice for people looking to work in the trades. Sandoval-Renteria: I’m a carpenter foreman for our self-perform doors division. When I started, I was considering going to art school, but I lived close to the union hall and I stopped in and asked if they were hiring. They told me to come back the next week as they were staffing up. When I did, they sent me out to a project. I came to DPR the same way. I just happened to call a friend of mine who used to work here and asked if DPR was hiring. He called back five minutes later and, next thing I knew, I came over as a carpenter and a year later I became a foreman. Q: You used to build toys as a child. Have you always been building? Sandoval-Renteria: The place I grew up was pretty poor, so if you wanted a toy or something, you had to build it. When I was a kid, I made my own toy top and little things like toy cars. The funny thing is that it takes a few hours to build a toy and then you play with it for 15 minutes. For me, the fun part was building it. My grandpa used to be a bricklayer, so I could always help him. Depending on how skilled you were, you were either carrying things for him or helping him put things it in place. I figured out that it was better to learn things and work than to carry stuff. Q: What’s your favorite thing to build/type of project to work on? Sandoval-Renteria: I love doing aluminum frames because everything has to be cut, and there are a lot of mitered corners. Fast-paced work is the most fun. You have to “go go go” and make sure you’re doing it to the right quality and appearance at the same time. It’s fun when you first see the schedule and think it doesn’t look possible, but when the work is done, it’s on time and looks amazing. Sandoval-Renteria: The doors for a customer focused on audio technologies, which needed to meet a certain FCC rating to limit sound. It was very technical, and we had to do everything little by little, taking the time to make sure everything was just right. When we were done, our work exceeded the rating the customer was looking for. Sandoval-Renteria: DPR puts a lot of effort into growing and training people, asking us what we need and where we want to go. My people skills have really grown, especially from the Crucial Conversations course. That’s been a big help at work, but at home, too. My girlfriend tells me all the time how working at DPR has changed who I am! I think a lot of that has come from DPR trainings and learning how to express myself. Sandoval-Renteria: People in high school who want to pursue this career should get into it as soon as they can. Instead of going to college and accruing debt, you basically make that amount and put it into your pocket. I was 19 when I started. Everyone I have met who started right after high school, they’re all very happy. Are you looking for the best construction-Real Estate service for your roofing in Okc? Do you want the quality material and a flawless job? Many homeowners find it hard to choose the best Oklahoma roofing & construction company due to lack of the experience of the industry. They want to get the best service to ensure the safety of their family members. If they hire an inexperienced service, they might spend less. However, they will have to spend much more on the repairs. Therefore, it is important to hire an experienced company to get quality assurance. If you are still a bit confused to spend on a reputed roofing service, you can consider the following benefits. You might be thinking how it will be affordable when most of the experienced companies demand a decent price in return of quality job. It is affordable if you consider the long-term benefits. You will have to spend a little more upfront for sure. In return, you are going to offer a secure and safe environment for your family. Just imagine what will happen if it will start leaking. The poor installation might cause more damages. You can minimize the property damage by hiring a skilled service. They understand the job and capable to offer the best installation to prevent repairs. This is one of the key benefits. An experienced service is a great combination of great talents and quality materials. They use high-quality materials to offer a durable result. If you buy the cheap materials, the quality will be compromised. In fact, you might not be able to get the best material without having an idea about the qualities. Therefore, it is better to let the professionals handle their job. Besides, some reputed companies offer a warranty on their work. You can consider one to get a peace of mind. Both these things are important in almost all the industries. If you consider a reliable company, you can expect the best talent even the experience. They hire experienced professionals to create a reputation and maintain it in the industry. A reputed company will try its best to satisfy the customers. Moreover, if the contractor is experienced, he can understand the ins and outs of his business. That will help him to offer the best suitable solution. Whether you are planning a new construction or repair, you should hire a contractor who is able to supervise the work all the time. An experienced roofing contractors tulsa Ok is able to meet all your demands. He will supervise the entire process and can correct any mistake on time. A reliable company is highly-experienced. It will have all the required and advanced tools to offer a flawless job at the fastest possible time. The service will have the right tools for any job regardless of complexities. Besides, they will be fully equipped to dispose of the exposed materials in the case of a new construction. While choosing a roofing contractor, you need to ensure that they give all the quotes in writing. In addition, you will have to make everything clear such as the cost, material, and expertise to avoid any last time confusion. 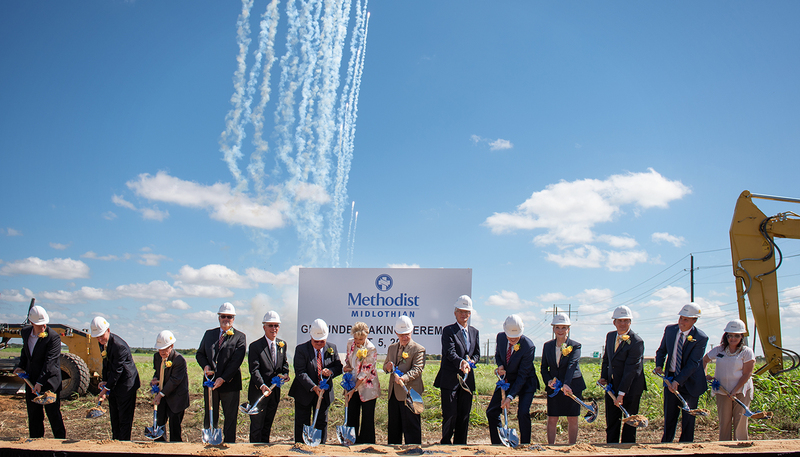 DPR recently broke ground on the new Methodist Health System hospital in Midlothian, Texas, a fast-growing suburb south of Dallas. With more than 300 Methodist Health System officials and Midlothian community leaders in attendance, including Midlothian Mayor, Bill Houston, and chair of the Methodist Health System board of directors, Julie Yarbrough, the groundbreaking marks the start of the Methodist Midlothian Medical Center project, which includes the first hospital in Midlothian and the 11th hospital in the Methodist Health system. 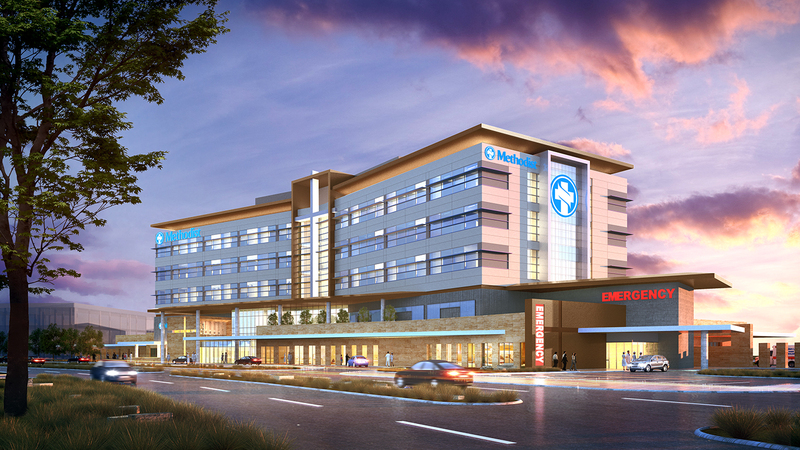 Slated to open in 2020, the greenfield campus will feature a five-story, 44-bed acute care hospital and three-story medical office building (MOB). Located prominently at the center of the campus, the hospital will employ approximately 300 medical professionals and support staff across 190,000 sq. ft. of space at the end of the first full-year of operation. One of the many health campuses in the Dallas-area DPR has worked on over the past five years, the team is excited to be building this project from the ground up with architect Corgan. “Methodist Health Systems and Corgan are wonderful partners. Although we are just getting started, I’m confident this project will embody all of DPR’s core values, especially enjoyment. We are already having a lot of fun and building great relationships as we move forward on this landmark project for the Midlothian community,” said DPR’s Project Executive Sean Ashcroft. Eighteen community centers and six residences serving under-resourced families benefited from DPR’s commitment to communities during the organization’s fourth annual “Service September.” Every September, DPR challenges all offices to participate in a least one community initiative project focused on facility construction and renovation for organizations that serve under-resourced families in the communities where we work. We call these types of projects Pillar 1 of DPR’s Community Initiative vision. Volunteers stretch before starting work at Second Story. 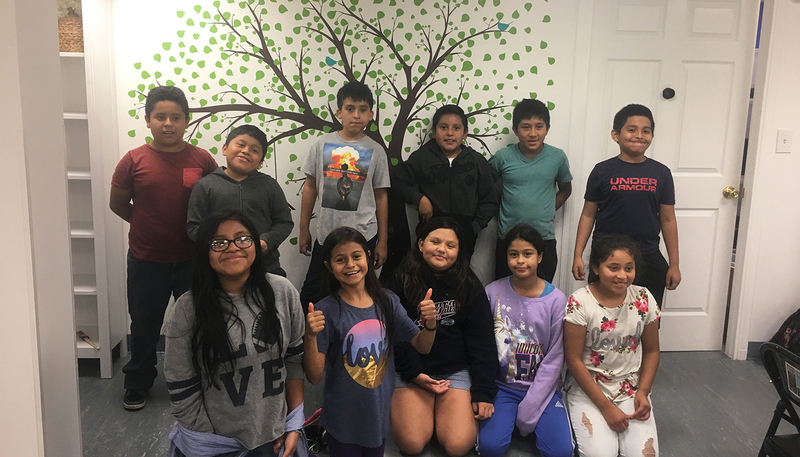 In Reston, Virginia, more than 40 DPR volunteers renovated Second Story Community Center, one of the DPR Foundation’s grant recipients and community partners since 2017. This vital community service organization provides emergency shelter and long-term housing for teen mothers; after school programs for neighborhood kids; free healthcare and other needed services for community residents. Over 860 adults were served by the center this year, as well as 40 kids who use the center each day after school. Seeing a facility in dire need of renovation, DPR enlisted the help of three subcontractors who contributed new flooring, lighting, and a new awning. 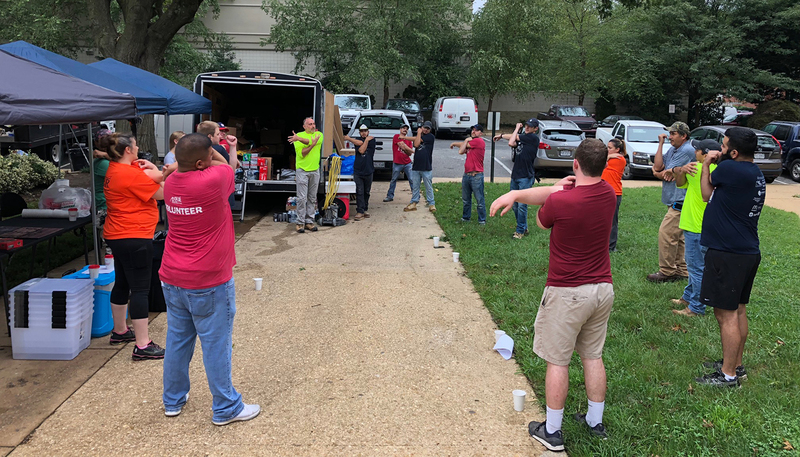 The DPR team contributed at least $10,000 in materials along with numerous volunteer hours from DPR SPW and administrative employees, who joined together September 15-17 to undertake the hands-on renovation work. Volunteers completed an array of tasks, including cleaning, painting, drywall work, hardware installation, replacing a toilet and more. They installed new art and furniture to make the community center a more welcoming and safer place to gather, as well. Second Story provides after school programs for neighborhood kids. “People are very motivated to get to do hands-on building for this important community organization,” said DPR’s Stacy Groomes, a coordinator of the Service September project. “Second Story has a lot of goals that DPR wants to help them achieve. It is personally rewarding to get them to a place where they are operationally functioning really well.” The enthusiasm of so many employees eager to volunteer is what truly made this project a success. 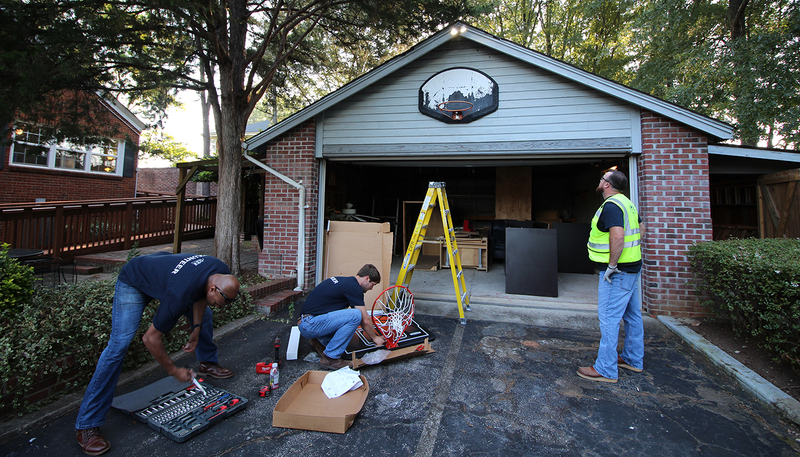 In Greenville, South Carolina, more than a dozen DPR employees volunteered to help with a renovation project for new community partner, Pendleton Place. The organization serves at risk youth and families in the community. Renovation work included repairs to the Smith House on the organization’s campus, which houses and provides services for teenage girls and women in their early 20s who are aging out of foster care. 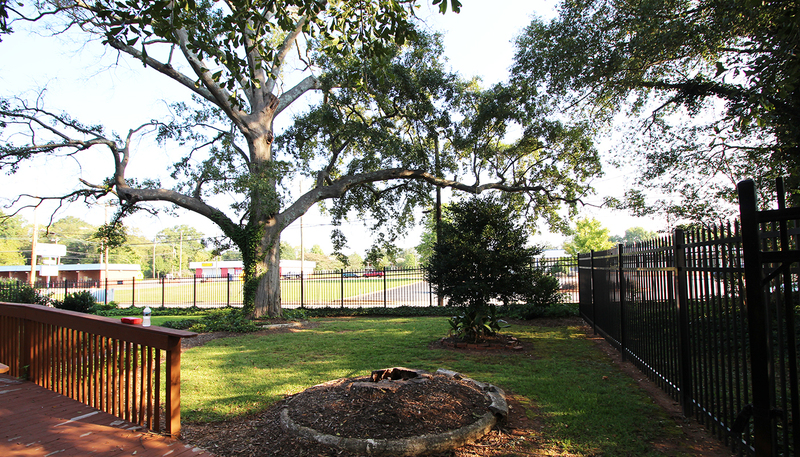 Volunteers performed various types of work to make Pendleton Place more livable, including replacing an old basketball hoop. DPR’s Brandon Scott, who serves on the board of Pendleton Place, organized the community initiative project, which utilized DPR’s core building skills to make much-needed improvements to the residence that houses up to 10 young women. Working over two shifts on September 21, volunteers completed a laundry list of repairs, including: gutter repairs, cabinet work, brick work repair, landscaping, and other work designed to make the residential facility more livable. In the future, DPR plans to enlist trade partners to assist with a bathroom remodel. Volunteers removed fencing from the front of Pendelton Place and rebuilt it to give better access to the facility. 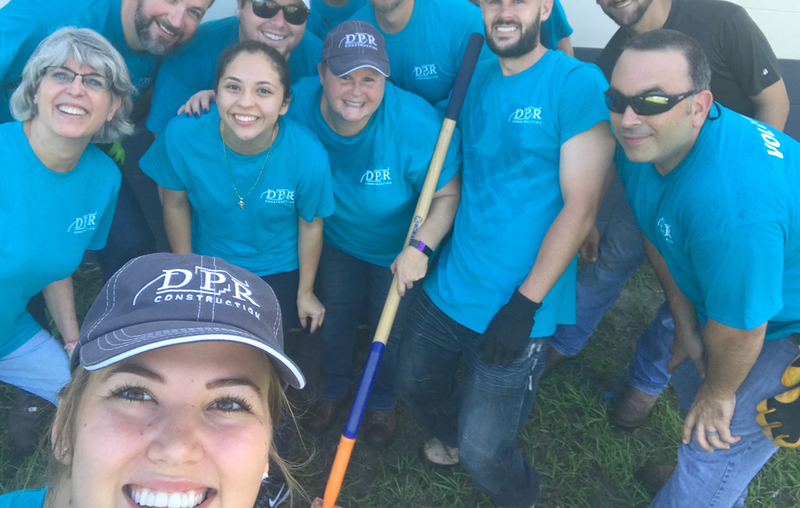 In a rural, agricultural region east of Tampa, Florida, DPR took on a Service September project at the Dover Boys & Girls Club the weekend of September 21-22. DPR’s awareness of the Dover Club and its many facility and funding needs came as a direct result of Hurricane Irma last year, when DPR donated several hundred cases of water to the facility. Less visible than some of the other Boys & Girls Clubs in the city of Tampa that DPR has already partnered with in the past, the Dover Boys & Girls Club primarily serves Hispanic, low income migrant families. A vital resource for those families, the Dover Club, in many cases, provides the only hot meal some of those kids receive each day. When DPR’s Brandon Facini met with the director, he saw that the facility needed significant repairs. After taking an inventory of the most pressing and future needs, about 20 volunteers came together and contributed well over 100 hours painting the club’s computer room and large portions of the 20 picnic tables (the rest will be painted later) and performing a host of landscaping improvements to spruce up the facility, among other things. DPR employees, who often don’t work together, were able to come together internally, while also giving back to the community at Dover Boys & Girls Club.